Noel Vela is still 18 years old. He’s just three months from Mission Veterans High School’s graduation ceremony. He just bought his first car, and last week, Vela was at the Mission Veterans-Sharyland Pioneer volleyball game cheering on his old school. Despite his youthfulness, Vela is now a Major League Baseball pitcher, albeit in the rookie league. The lefty just completed the full season of MLB’s rookie league in Arizona. Vela did not join the San Diego Padres rookie team in Peoria, Arizona, until mid-summer after signing in June. So far, Vela has with a 2-0 record and a 3.46 ERA. The 6-foot-1, 180-pounder appeared in seven games, pitched 13 innings and gave up six hits, five earned runs and 15 walks. He’s also striking batters out at a rapid pace, fanning 18 in the 13 innings pitched. Vela said as a young player learning this way in the rookie league, coaches keep his regimen regular. 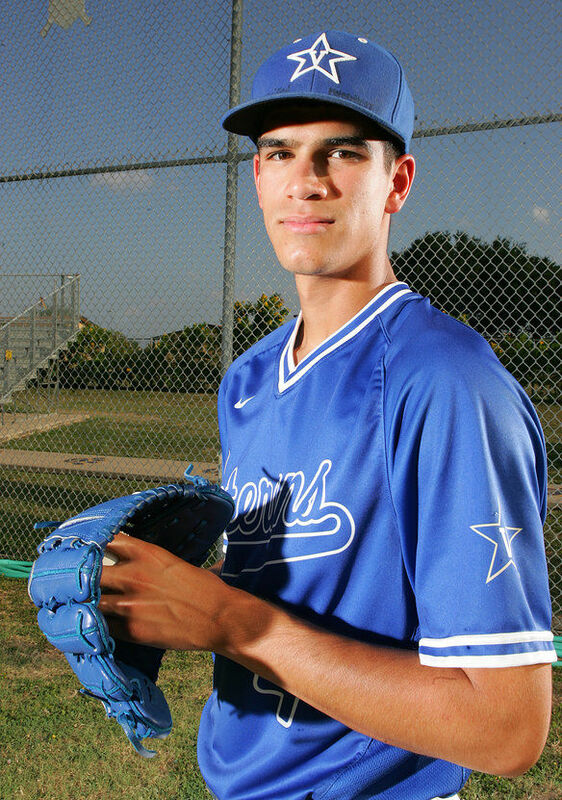 Vela, a three-pitch hurler (fastball, curveball, change-up), said the strength and conditioning program he’s going through – and the coaching he’s received – is already beginning to pay dividends. Vela was in the Valley for a short break. He has already returned to Arizona for training. Mission Veterans product and current Houston Cougar G.J. Reyna claimed a come-from-behind victory and won the individual championship at the Norry Hersey Rice University Invitational on Saturday in Houston. Reyna ran with the leaders throughout the 6,250-meter race but waited until the last lap to make his move, according to UH reports. He finished with a time of 19:49.72. Reyna, who has steadily improved in his two years at Houston, finished ninth at the Rice Invitational last year. In 2016, he was the Cougars’ top finisher in six of their seven competitions, including the American Conference Championships, where he finished eighth and qualified for the NCAA Regionals. The junior also is a distance runner for the Cougars’ track and field team in the spring. Sean Landez once made ESPN’s Top 10 plays for returning a missed field goal kick 109.9-yards for a touchdown while a Sharyland High sophomore in 2012. It’s hard to top that, but the athletic 5-foot-8, 170-pound speedster, who had an outstanding high school career, is making some noise for Texas A&M-Kingsville Javalinas as a junior. 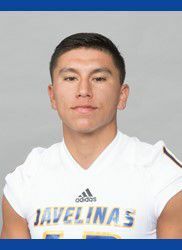 The former all-state and all-district Rattlers’ defensive back played spot defense and returned punts for the Javalinas during his first two seasons. Last year, he picked up 196 yards on 21 punt returns (9.3 yards per return) in 12 games played. Just two games into 2017, Landez has already exceeded last year’s tackle total with six, including one sack for an 11-yard loss. Texas A&M-Kingsville is 1-1 on the year. It didn’t take long for former Valley View soccer stud Leslie Obregon to get acclimated to playing with the big girls after two years at the JUCO level. The junior forward scored two goals for Abilene’s McMurray University in just her fourth career game with the War Hawks. She found the net twice in a 6-0 whitewash of Southwestern Adventist University last week. 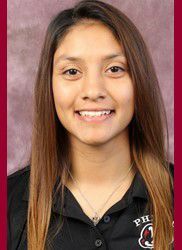 After a stellar career at Valley View, Obregon played at Navarro College, then transferred to Mountain View College in Dallas, where she was on the soccer team. McMurray is an NCAA Division III school. Jorge Cavazos had a super sophomore year in 2016 at Our Lady of the Lake University in San Antonio. The Mission Veterans’ alum and starting goalkeeper was named to the Red River Conference All-Conference first team, earned Defensive Player of the Week twice and helped lead the Division III Saints to a 10-3-3 overall record. He recorded 43 saves in nine starts on the pitch in 2016. In the classroom, he made the dean’s list four times in his two years at OLLU. This year, the Saints are off to a slower start (0-2-1). 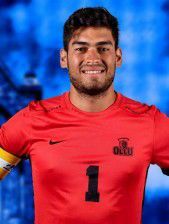 However, last year’s performance has earned the 5-foot-11, 185-pound Cavazos the full-time starting position in net. The Patriots’ former three-sport star (football, track, soccer) has already made 10 saves this year.